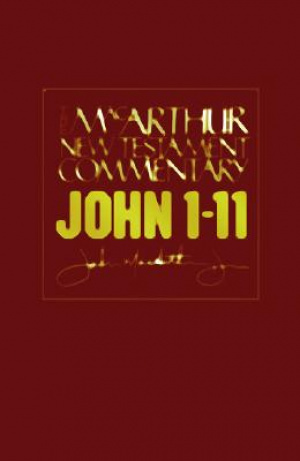 From one of todays top-selling commentary series comes volume one of the Gospel of John, the 25th installment to the MacArthur New Testament Commentary series. MacArthur gives verse-by-verse analysis in context and provides points of application for passages, illuminating the biblical text in practical and relevant ways. The series has been praised for its accessibility to lay leaders, and is a must-have for every pastors library. John 1-11 by John MacArthur was published by Moody in March 2006 and is our 52219th best seller. The ISBN for John 1-11 is 9780802407719. Be the first to review John 1-11! Got a question? No problem! Just click here to ask us about John 1-11.